Well i think i have come a full circle in that i am going to make another peppers ghost box, I did test the projection out with a pocket projector today, but it did not seem to work. I will try tomorrow with a better projector, and have the 3d file ready, so i can begin to build it for early next week. 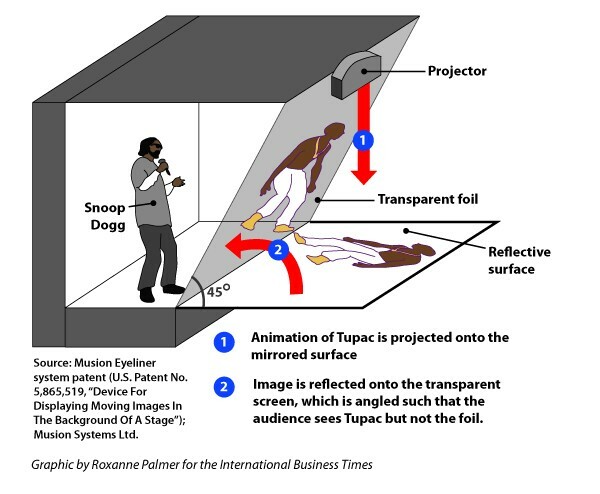 I will try to make a version of this tupac performance on the table using a concealed projector. Hopefully if this works it can become a presentation instrument, the screen or image through which you see the project. Doreen- If we take it literally.. there is a figure and a ground- The figure is the object, the background is the screen the imagery.. but then that is what i am challenging.. the figure is a projection or phantasmagoric, image in the head but the background is objectified, in a sense that it is the factory. If you can simplify that relationship in that i am reversing it, that i am extrapolating the productiveness of that reversal.. In the factory i am trying to produce my architecture. Palmasino- I take a art historical approach to an image, in that if something looks like something then they are the same thing. This refers to the image and the object as well. Raised the important issue of what the 2 and a half D means in the project, and how can i make that a more useful part of the argument.